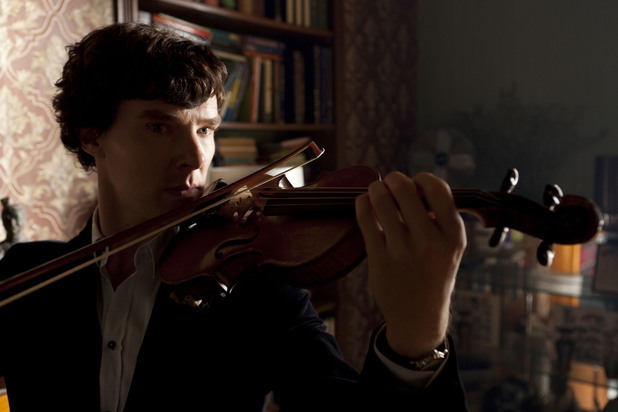 "Sherlock Holmes is a great man. And I think one day - if we’re very, very lucky - he might even be a good one." I was watching ASIP with the commentary on today, and Sue asks if this line was from something else (as in, a reference to another filmed version of Sherlock Holmes) and Moffat says no, he made it up. But ever since I read A Study in Scarlet I've wondered whether it might have somehow subconsciously entered Moffat's brain via a paragraph near the end of ACD's first story. It's from a newspaper article that Holmes hands to Watson after the case is solved: "... Mr. Sherlock Holmes, who has himself, as an amateur, shown some talent in the detective line, and who, with such instructors, may hope in time to attain to some degree of their skill." I realise it hasn't got exactly the same meaning as Lestrade's line. The newspaper article talks of Holmes improving his talents with instruction (and of course gets it wrong; it's Holmes who solved the case with his superior skills despite being an "amateur", while the credit went to Scotland Yard). Lestrade on the other hand is talking about Sherlock being "great" and becoming "good" in terms of talent versus moral growth (and incidentally sums up Sherlock's character arc for the whole series). Anyway, I just felt (like Sue) that this line of Lestrade's came from somewhere. I could be wrong. What do others think?